My experience with juvenile justice began in 1986 at a detention center in Reno—as an offender—an experience that galvanized my interest in how we deal with at-risk youth. I am a storyteller at heart, and I try to use that gift to inform, persuade, and enlighten, with a keen interest in social justice issues. I have produced, shot, and directed content for television, theatrical and web distribution, with broadcast partners that include ABC News, MSNBC, A&E, Channel 4 (UK), The BBC, and Discovery International. I also started a nonprofit that helps the formerly incarcerated pursue meaningful careers in the entertainment industry. Click below to view the deck for the scripted series currently making the rounds. LOGLINE: Lemon Grove is the story of the segregated gangs inside the prison system. It is a fictionalized account of how the various groups—Latinos, Whites, Blacks, and Guards—must coexist under the same roof, all subject to precarious politics, business rules, and with the risk of things blowing up over the smallest transgression. It opens when a juvenile, sentenced as an adult, lands at Lemon Grove setting off a story that will ultimately lead to a fight for prison reform. Drawn from true experiences of men who have served time in our toughest prisons, Lemon Grove is real, it is gritty and it humanizes the prison experience. A feature documentary directed by Ben Lear that takes a balanced look at the practice of trying juveniles as adults. Although such young men are often accused of committing very serious offenses, Ben gives you the chance to spend time with them in a way that will help audiences be better informed about the issue. A web series for teaching life skills to transition age foster youth. A piece I produced for Human Rights Watch and the Fair Sentencing of Youth to advocate for a bill that would ensure juveniles understand their Miranda Rights before waiving them. ORG video for an amazing group of folks that host dialogues between survivors of violent crimes and the families of perpetrators. Just a fun bit of trading with unearned knowledge. 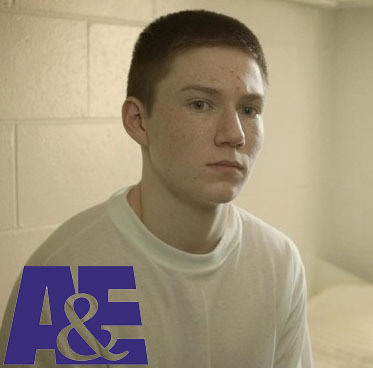 What began as a simple 8-day documentary spiraled into a year-long saga of a Los Angeles family's youngest son trying to cross the threshold to adulthood while leaving behind the baggage of an adolescence marked by serial incarceration, gang life, and addiction. Awesome little piece I produced and directed with the graduates of my community nonprofit program, ManifestWorks young people who's lives have been affected by juvenile justice and public foster care systems. A deeper look into the stories of Paul Gingerich and Colt Lundy we uncovered in Young Kids, Hard Time. In this extended version of a doc we did for Channel 4 in the UK, we dig a bit deeper into the circumstances surrounding the crime that resulted in both boys being sentenced to 25 years in the adult prison system. In 2010, Paul Gingerich took part in the murder of his friend's step-father when he was a couple weeks past his 12th birthday. To this day, the primary reason Colt Lundy was compelled to kill his step-father remains a mystery to everyone except Colt. 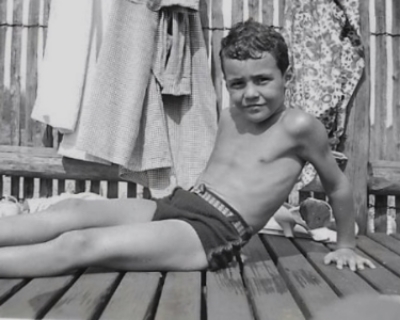 This special documentary released in Britain, France, and Australia looks at the rural Indiana community and both boys' families that were forever changed on that spring afternoon. The Burqueños are the newest gang on the New Mexico prison scene. In this one-hour episode, ex-mobster Lou Ferrante travels to some of the state's most notorious prisons and into the barrios of Albuquerque in search of the Burqueños' roots and power players. Young Kids, Hard Time is an award-winning 2-part series from Calamari Productions that throws back the veil on the reality of young kids serving long sentences behind adult prison walls. Wabash Valley is home to the Youth Incarcerated As Adults cellblock (YIA), where 53 kids eat, sleep, study and recreate while being alienated from their adult counterparts. But once a youth turns 18, they are transitioned into the adult population, where thousands of adult prisoners await. Get to know the kids of maximum security prison as they work their way through the levels to end up at their Parole hearing. From the confines of America's juvenile detention facilities to the razor wire of juvenile prison to the heart pounding juvenile courtroom hearings where everything is on the line, Lake County Juvenile Justice (Cradle to Jail on Hulu) explores where juvenile crime begins, how it evolves, and what's at stake for kids, families and professionals in the system. Two pieces that I produced for the policy campaign championed by The Fair Sentencing For Youth and Human Rights Watch to pass Senate Bill 9, giving individuals who were given life sentences as juvenile a shot a second chance.. Distinction: SB9 is now a law! This is a piece I wrote, produced and directed for The Texas Juvenile Justice Department. The video is an effort to help youth coming into the system understand how to avoid sexual victimization in juvenile facilities and how to report potentially inappropriate behavior. My aim with this video was to make it frank, conversational and most of all, watchable. I used the blank background and an Erol Morris-ian interretron device to achieve the direct-to-camera address. Way, way back in 2006 before Going Green became the benevolent cliché that it is today, I created a web series featuring ASLA luminary, Dean Hill, where we highlighted many ways that homeowners good employ sustainable landscaping practices without breaking the budget. Awards: Nominated for both a Webbie and a Regional Emmy.